There are many new graduates again this school year and I’m really wondering if they can all be employed. It takes some good credentials before you can be employed and you need to undergo training, probationary period before reaching the regular status. Then after that you don’t have assurance that your salary will be able to meet your family’s needs. It’s a pity sometimes that our high hopes when we were studying will not be met by our present job. Well there are different cases and some got lucky and was able to land a good-paying job. My previous job which I was employed for 16 years gave me a regular income to sustain my family’s needs and I was able to help my husband in raising our kids. When I resigned from it few months ago to be a work-at-home Mom I thought of entering some kind of investment to be my fall back when I need some finances. I found many channels of investment like stocks, properties and investing on precious metals where you have to buy gold bullion. 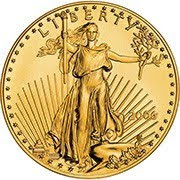 US Gold Bureau provides these investment opportunities where you can purchase silver, gold or platinum coins. You can choose whether you want it delivered or be placed in safe bank storage. I’m still thinking up to now as I also know that gold is really a good investment because it appreciates value over the years.